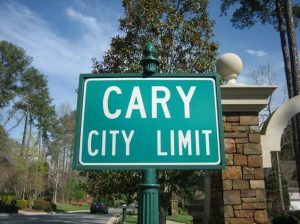 Looking for homes for sale in Cary NC, you could spend days looking at every neighborhood in Cary. Provided below is a very good representation of neighborhoods in Cary with detailed information. Just click on the links below. Also provided is a list of neighborhoods by price range. Real Estate Experts want to help you find a home that you will love. Contact us to ask us questions about neighborhoods in the area and let us know how we can be of help in your home search. For detailed information on these neighborhoods, just click the link below. Amesbury subdivision includes single-family homes built between 1994 and 1996 with an average of 1,979 square feet. Homes are priced from the upper $100s to the mid-$200s. Amesbury is located off Waldo Rood Road and is convenient to Apex and Cary shopping and restaurants, major highways, RDU International Airport, and Research Triangle Park. Schools: Laurel Park Elementary, Davis Drive Middle, and Green Hope High School (please visit https://wwwgis2.wcpss.net/addressLookup/ to confirm school assignments). Applecross community features single-family townhomes with an average of 1,213 square feet built between 1981 and 1985. Homes are priced from $800 to the mid-$100s. Located off SW Cary Parkway, Applecross is convenient to Apex and Cary shopping and restaurants, major highways, RDU International Airport, and Research Triangle Park. Schools: Laurel Park Elementary, Reedy Creek Middle, and Cary High School please visit https://wwwgis2.wcpss.net/addressLookup/ to confirm school assignments). Arlington Ridge is an established neighborhood with homes ranging from 1,500 to 3,600 square feet, priced from the $200s to the $300s, and built in the late 1980s and early 1990s. The home styles range from ranch to two-story, located on an average of .25-acre lots. Many of the homes back up to woods, and all feature mature trees and adult shrubs. Located off Cary Parkway in the heart of Cary’s residential area, Arlington Ridge is convenient to the Cary YMCA and Fred G. Bond Park, as well as shopping and restaurants at Preston Corners. Schools: Weatherstone Elementary, Davis Drive Middle, and Green Hope High School (please visit https://wwwgis2.wcpss.net/addressLookup/ to confirm school assignments). 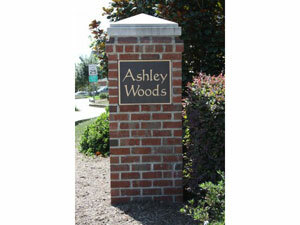 Ashley woods subdivision is located near the intersection of Highway 55 and High House Road. The neighborhood was started in 1993 with 12 homes, and is now complete with 138 homes with an average of 2,500 square feet. Homes are priced from the upper $200s to the mid-$300s. Ashley Woods is convenient to Cary and Apex shopping and restaurants, major highways, RDU International Airport, and Research Triangle Park. Schools: Davis Drive Elementary, Davis Drive Middle, and Green Hope High school please visit https://wwwgis2.wcpss.net/addressLookup/ to confirm school assignments). 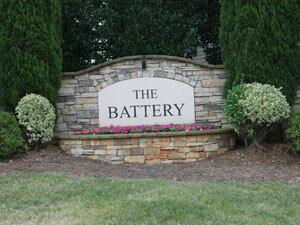 The Battery features single-family homes built in the mid-2000s on average .25-acre lots. Homes are priced from the $300s to the $400s. Located off High House Road, the neighborhood is convenient to Apex and Cary shopping and dining, major interstates, Research Triangle Park, and RDU International Airport. Amenities include scenic walking trails. Schools: Weatherstone Elementary, West Cary Middle, and Cary High School (please visit https://wwwgis2.wcpss.net/addressLookup/ to confirm school assignments). Berkeley neighborhood offers single-family homes built between 1996 and 2002 with an average of 3,050 square feet. Homes are priced from the low $200s to the mid-$400s. Located off High House Road, Berkeley is convenient to Apex and Cary shopping and restaurants, major highways, RDU International Airport, and Research Triangle Park. Schools: Green Hope Elementary, Davis Drive Middle, and Green Hope High School (please visit https://wwwgis2.wcpss.net/addressLookup/ to confirm school assignments). Bexley at Weston subdivision features 64 homes built between 2004 and 2007 in North Cary, located on Norwell Boulevard between Weston Parkway and Cary Parkway. Homes range from 2,800 to just over 4,000 square feet, with lots from .15 to .3 acres, with most at .2 acres or slightly less. Homes are priced between the mid-$300s to $500s. Bexley at Weston is convenient to Cary shopping and restaurants, as well as RDU International Airport and Research Triangle Park. Schools: Northwoods Elementary, West Cary Middle, and Panther Creek High School (please visit https://wwwgis2.wcpss.net/addressLookup/ to confirm school assignments). Birklands neighborhood is a small community of homes located in one of Cary’s most sought-after locations, just minutes from Regency Park off High House Road. The $1 million to $2 million homes were built between 1993 and 1997, with lots an average of .375 acre. Amenities include a community pool, tennis courts, and a playground. There is also a common area for private and community events. Schools: Birklands Elementary, West Cary Middle, and Green Hope High School (please visit https://wwwgis2.wcpss.net/addressLookup/ to confirm school assignments). Amberly is a planned community made up of single-family homes, townhomes, and condos, offering 276 acres of common areas, including shopping areas and miles of Cary greenway trail with beautiful natural areas. Located just 15 minutes from Research Triangle Park and RDU International Airport, the community’s $8.5 million amenity center includes a gymnasium, event lawn, playground, junior Olympic pool and award-winning residents’ club, fitness center, and teen room. Schools: Alston Ridge Elementary, Mills Park Middle, and Panther Creek High School (please visit https://www.wcpss.net/parents/ to confirm school assignments). Bluffs at Kildaire features 33 homes built between 1991 and 1998 ranging from the $200s to the $400s. The neighborhood is located near Hemlock Bluffs Nature Preserve off Kildaire Farm Road, which features three miles of scenic walking trail and observation platforms. Convenient to Ten-Ten Road, Route 1, and I-40/I-440, residents enjoy a variety of Cary-area shopping and restaurant choices. Schools: Oak Grove Elementary, Athens Drive Middle, and Dillard High School (please visit https://wwwgis2.wcpss.net/addressLookup/ to confirm school assignments). Buckhurst West community includes single-family homes built between 2002 and 2007 with an average of 3,146 square feet. The homes are priced from the upper $300s to the mid-$500s. Located off Chapel Hill Road, Buckhurst West is convenient to Cary shopping and restaurants, major highways, RDU International Airport, and Research Triangle Park. Schools: Northwoods Elementary, West Cary Middle, and Cary High School (please visit https://wwwgis2.wcpss.net/addressLookup/ to confirm school assignments). Camden Forest neighborhood offers single-family homes built between 1994 and 2000 with an average of 3,443 square feet. Homes are priced from the low $300s to the mid-$600s. Located off SE Cary Parkway, Camden Forest is convenient to Cary shopping and restaurants, major highways, Research Triangle Park, and RDU International Airport. Schools: Swift Creek Elementary, Dillard Drive Middle, and Athens Drive High School (please visit https://wwwgis2.wcpss.net/addressLookup/ to confirm school assignments). Cameron Pond community includes The Shires, low-maintenance cluster homes priced from the high $300s to the $500s, and The Manors, single-family homes priced from the $500s to the $900s and up. The homes feature innovative and unique floor plans, and many home sites adjoin preserved natural areas or the 9-acre Cameron Pond. The subdivision is located 2.5 miles north of High House Road, and is just minutes from Southpoint Mall. Amenities include a junior Olympic pool, cabana, tot lot, and playfield. In addition, a 21-acre Town of Cary park is adjacent to the community. Schools: Green Hope Elementary, West Cary Middle, and Panther Creek High School (please visit https://wwwgis2.wcpss.net/addressLookup/ to confirm school assignments). Carolina Preserve at Amberly is one of the Triangle’s premier 55+ active adult communities, designed by the innovative residential development team of Del Webb. Homes range from 1,250 to 2,500 square feet and are priced from $200,000 to $400,000. This highly desirable neighborhood offers its residents exclusive use of a 34,000-square-foot clubhouse, Bradford Hall, which includes a heated pool, fitness center, ballroom, and stadium kitchen. Outdoors, enjoy scenic walking trails, a 15-acre lake, pool, tennis courts, and a chipping and putting green. Across the street, homeowners can enjoy the 12,000-square-foot Amberly Residents Club, featuring a fitness center, amphitheater, and junior Olympic pool. Carpenter Village neighborhood includes single-family homes and townhomes built between 1997 and 2008. The homes are priced from the mid-$100s up to over $1 million. Located off Morrisville Carpenter Road, Carpenter Village is convenient to Apex and Cary shopping and restaurants, major highways, Research Triangle Park, and RDU International Airport. Schools: Carpenter Elementary, West Cary Middle, and Panther Creek High School (please visit https://wwwgis2.wcpss.net/addressLookup/ to confirm school assignments). Carramore subdivision includes more than 100 single-family homes located in the heart of Cary on Davis Drive between Morrisville Carpenter Road and High House Road. Lot sizes average a generous .25 to 0.5 acre and homes are priced from the $500s. Amenities include a community pool. Schools: Green Home Elementary, Davis Drive Middle, and Green Hope High School (please visit https://wwwgis2.wcpss.net/addressLookup/ to confirm school assignments). Carrington neighborhood includes single-family homes built between 1990 and 2006 with an average of 2,614 square feet. Homes are priced from the upper $100s to the upper $300s. Located off SW Cary Parkway near the Cary Family YMCA, Carrington is convenient to Apex and Cary shopping and restaurants, major highways, RDU International Airport, and Research Triangle Park. Charleston Woods neighborhood includes single-family homes built between 1990 and 1993 with an average of 2,497 square feet. Homes are priced from the mid-$200s to the mid-$300s. Charleston Woods is located off SW Cary Parkway directly beside the Cary Family YMCA, and is convenient to Apex and Cary shopping and restaurants, major highways, RDU International Airport, and Research Triangle Park. Churchill Estates neighborhood features a variety of single-family home styles from the $480s to the $750s on .25 to 0.5-acre lots. Many of the homes feature screened porches, three-car garages, and finished third floors. Located off Ten-Ten Road near Holly Springs Road, Churchill Estates is convenient to shopping and restaurants in Cary, Apex, and Holly Springs. Amenities include a community swimming pool, playground, and scenic walking trail. In addition, the neighborhood is within walking distance to Crowder District Park. Schools: Yates Mill Pond Elementary, Dillard Middle, and Middle Creek High School (please visit https://wwwgis2.wcpss.net/addressLookup/ to confirm school assignments). The Courtyards at Cary is a unique, boutique-style Epcon Community featuring only 15 ranch-style homes on private, wooded cul-de-sacs. The homes were built in 2013 and are approximately 1,519 square feet. Home prices start at the upper $200s. Amenities include private outdoor courtyards, 2.5-car garages, beautifully landscaped common areas, and direct access to Morris Branch Greenway walking trails. The Courtyards at Cary is convenient to Cary shopping and restaurants, major highways, RDU International Airport, and Research Triangle Park. Schools: Alston Ridge Elementary, Mills Park Middle, and Panther Creek High School (please visit https://wwwgis2.wcpss.net/addressLookup/ to confirm school assignments). Coventry Woods subdivision includes single-family homes built between 1994 and 1997 with an average of 3,147 square feet. The homes are priced from the mid-$100s to the mid-$400s. Located off SE Cary Parkway, Coventry Woods is convenient to Cary shopping and restaurants, major highways, RDU International Airport, and Research Triangle Park. Danbury neighborhood features home built between the late 1990s and the early 2000s ranging from the high $200s to the $400s. Danbury is the entry level of pricing for the Regency neighborhoods. Amenities include a community swimming pool, scenic landscaping, Regency Lake and Amphitheatre, and highway access. Danbury is convenient to Cary shopping and restaurants, Research Triangle Park, and RDU International Airport. Schools: Penny Road Elementary, Lufkin Road Middle, and Apex High School (please visit https://wwwgis2.wcpss.net/addressLookup/ to confirm school assignments). Devereaux community includes single-family homes built between 1994 and 2001 with an average of 2,307 square feet. Homes are priced from the upper $100s to the upper $300s. Located off Jenks Carpenter Road, Devereaux is convenient to Apex and Cary shopping and restaurants, major highways, RDU International Airport, and Research Triangle Park. Schools: Salem Elementary, Salem Middle, and Apex High School (please visit https://wwwgis2.wcpss.net/addressLookup/ to confirm school assignments). DeVintage neighborhood offers single-family homes built between 2006 and 2007 with an average of 3,059 square feet. Homes are priced from the low $400s to the upper $500s. Located off Ten-Ten Road, Devintage is convenient to Apex and Cary shopping and restaurants, major highways, RDU International Airport, and Research Triangle Park. Schools: Penny Road Elementary, Dillard Drive Middle, and Middle Creek High School (please visit https://wwwgis2.wcpss.net/addressLookup/ to confirm school assignments). Dogwood Estates subdivision features single-family homes built around 2008 from the low $200s. Dogwood Estates is located between Reedy Creek and Harrison Avenue, with easy access to I-40, RDU International Airport, Research Triangle Park, and Cary shopping and restaurants. Schools: Reedy Creek Elementary, Reedy Creek Middle, and Cary High School (please visit https://wwwgis2.wcpss.net/addressLookup/ to confirm school assignments). 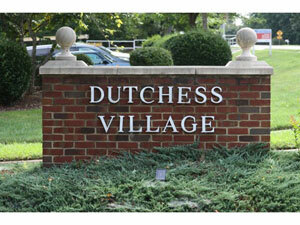 Dutchess Village neighborhood offers single-family townhomes built between 1983 and 1998 with an average of 1,699 square feet. The homes are priced from the low $100s to the low $300s. Dutchess Village is located off High House Road and is convenient to Apex and Cary shopping and restaurants, major highways, Research Triangle Park, and RDU International Airport. Schools: Kingswood Elementary, West Cary Middle, and Cary High School (please visit https://wwwgis2.wcpss.net/addressLookup/ to confirm school assignments). Edinborough Pointe subdivision offers single-family homes with an average of 2,814 square feet built between 1991 and 1994. The homes are priced from the low $300s to the upper $300s. Located between Holly Springs Road and Lochmere Drive, Edinborough Pointe is convenient to Cary shopping and restaurants, major highways, RDU International Airport, and Research Triangle Park. Evans Estates subdivision features single-family homes built between 1999 and 2006 with an average of 2,888 square feet. The homes are priced from the upper $200s to the mid-$400s. Located off Evans Road in north Cary, Evans Estates is convenient to Cary shopping and restaurants, I-40, RDU International Airport, and Research Triangle Park. Fairfax neighborhood offers single-family homes built between 1990 and 1995 with an average of 2,138 square feet. Homes are priced from the low $200s to the low $300s. Conveniently located off Cary Parkway, Fairfax is convenient to Apex and Cary shopping and restaurants, major highways, RDU International Airport, and Research Triangle Park. Fenton Estates subdivision includes single-family homes built between 1995 and 1997 with an average of 2,724 square feet. The homes are priced from the low $200s to the mid-$300s. Located off Davis Drive, Fenton Estates is convenient to Apex and Cary shopping and restaurants, major highways, RDU International Airport, and Research Triangle Park. Fernwood neighborhood includes single-family homes built between 1995 and 2000 with an average of 2,857 square feet. Homes are priced between the mid-$200s and the mid-$400s. Located off Kildaire Farm Road, Fernwood is convenient to Cary shopping and restaurants, major highways, RDU International Airport, and Research Triangle Park. Schools: Penny Road Elementary, Dillard Drive Middle, and Athens Drive High School (please visit https://wwwgis2.wcpss.net/addressLookup/ to confirm school assignments). 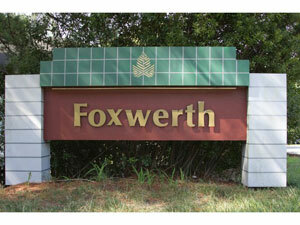 Foxwerth subdivision features single-family homes with an average of 1,666 square feet that range in price from the upper $100s to the lower $200s. The homes were built between 1990 and 1994. Foxwerth is located off Southwest Cary Parkway and is convenient to Cary and Apex shopping and restaurants, major highways, RDU International Airport, and Research Triangle Park. Schools: Laurel Park Elementary, Salem Middle, and Apex High School (please visit https://wwwgis2.wcpss.net/addressLookup/ to confirm school assignments). Franklin Chase subdivision features single-family homes with an average of 2,000 square feet, ranging in price from the low $200s to the high $300s. The homes were built between 1994 and 1999. Franklin Chase is located off Tryon Road and is convenient to Cary shopping and restaurants, as well as major highways, Research Triangle Park, and RDU International Airport. Glenmitt Stone is located off Arthur Pierce Road close to its intersection with Ten-Ten Farm Road. The single-family homes average 2,500 square feet and range in price from the low $200s to the high $300s. The neighborhood is convenient to Cary shopping and restaurants, as well as major highways, RDU International Airport, and Research Triangle Park. Schools: Yates Mill Elementary, Dillard Drive Middle, and Middle Creek High School (please visit https://wwwgis2.wcpss.net/addressLookup/ to confirm school assignments). Heritage Oaks features single-family brick homes built in the 2000s with four to six bedrooms and three to four baths. Amenities include 1-acre lots, gourmet kitchens, vaulted ceilings, and some with three-car garages. The community is convenient to Cary and Apex shopping and restaurants, Research Triangle Park, and major highways. Schools: Penny Elementary, Dillard Middle, and Middle Creek High School (please visit https://wwwgis2.wcpss.net/addressLookup/ to confirm school assignments). This 55-plus active adult community includes single-family homes with a variety of single and two-story floor plans. Located off Carpenter Upchurch Road, Heritage Pines is convenient to Cary shopping and restaurants, Research Triangle Park, and RDU International Airport. Amenities include a community swimming pool, tennis courts, sidewalks, and community center with activities. Schools: Carpenter Elementary, East Cary Middle, and Panther Creek High School (please visit https://wwwgis2.wcpss.net/addressLookup/ to confirm school assignments). This established neighborhood features single-family homes between 1,400 and 2,400 square feet on average .25-acre lots, most of which back to a wooded area. The Colonial, Cape Cod, and transitional-style homes were built in the 1980s and are priced from the $200s. Holloway is located off High House Road and is convenient to Cary shopping and restaurants, major intersections, Research Triangle Park, and RDU International Airport. Hunter’s Meadow subdivision includes single-family homes between 2,500 and 5,300 square feet, priced from the $300s to the $700s on 1-plus-acre lots with woods and cul-de-sacs. Many of the homes include first-floor masters, basements, screened porches, and security systems. Located off Penny Road, Hunter’s Meadow is convenient to Cary and Apex shopping and restaurants, Research Triangle Park, and RDU International Airport. Schools: Yates Mill Pond Elementary, Dillard Drive Middle, and Middle Creek High School (please visit https://wwwgis2.wcpss.net/addressLookup/ to confirm school assignments). Kilarney Pointe neighborhood features single-family homes from the $300s with an average of 3,000 square feet. Kilarney Pointe is located near Old Apex Road and Cary Parkway, and is convenient to Apex and Cary shopping and restaurants, as well as major highways, Research Triangle Park, and RDU International Airport. Kingswood neighborhood features homes built in the mid-1990s with an average of 3,000 square feet. Home prices start at the $200s. Located in North Cary, Kingswood is convenient to Cary shopping and restaurants, major highways, RDU International Airport, and Research Triangle Park. Schools: Kingswood Elementary, Reedy Creek Middle, and Cary High School (please visit https://wwwgis2.wcpss.net/addressLookup/ to confirm school assignments). Lansdowne neighborhood features single-family custom homes built between 1994 and 2002. The homes have an average of 2,694 square feet and range in price from the low $200s to the mid-$300s. Lansdowne is located near the intersection of Green Level Road West and Highway 55, with proximity to major highways, shopping, restaurants, and Research Triangle Park. Laurel Park subdivision includes single-family homes built between 2007 and 2008 with an average of 2,762 square feet. 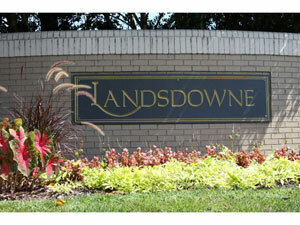 The homes are priced from the low to mid-$300s. Located at the intersection of Old Apex Road and Laura Duncan Road, the Laurel Park is convenient to Apex and Cary shopping and restaurants, major highways, RDU International Airport, and Research Triangle Park. Laurel Park neighborhood sits directly beside Laurel Park Elementary school, providing a short walk to school for children in grades K-5. 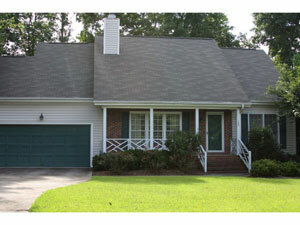 Linville Ridge subdivision offers single-family homes built between 1988 and 1997 with an average of 2,250 square feet. The homes are priced from the mid-$100s to the upper $200s. Located near the intersection of SW Cary Parkway and Old Apex Road, Linville Ridge is convenient to Apex and Cary shopping and restaurants, major highways, RDU International Airport, and Research Triangle Park. Linwood neighborhood features older single-family homes with larger lots (average .50 acre). The homes are priced from the mid-$100s to the mid-$500s. Linwood is located off Chapel Hill Road and is convenient to Cary shopping and restaurants, major highways, RDU International Airport, and Research Triangle Park. Lions Gate community includes single-family townhomes with an average of 3,780 square feet built between 2001 and 2006. The homes are priced between the low $500s and the mid-$700s. Located off Ederlee Drive, Lions Gate backs up to Hemlock Bluffs Nature Preserve, and is convenient to Cary shopping and restaurants, major highways, Research Triangle Park, and RDU International Airport. MacGregor Downs is an award-winning golf course community with large lots and privacy, with homes priced from the low $800s to $1.1 million. Residents can join the prestigious MacGregor Downs country club, which offers a rustic Scottish clubhouse and facilities on the shores of MacGregor Downs Lake. The club membership includes golf, tennis, swimming, small boating, fishing, volleyball, and formal and informal dining. The neighborhood was built in the 1960s and is located off US 64, convenient to shopping, restaurants, and offices all situated in the MacGregor Park property. Schools: Briarcliff Elementary, Dillard Drive Middle, and Apex High School (please visit https://www.wcpss.net/parents/ to confirm school assignments). Maynard Oaks is a neighborhood with single-family homes from the $200s built in the 1980s. Located off SW Maynard Road, the subdivision is convenient to Cary Towne Center mall, a Harris Teeter grocery store, major highways, RDU International Airport, and Research Triangle Park. Schools: Farmington Woods Elementary, East Cary Middle, and Cary High School (please visit https://wwwgis2.wcpss.net/addressLookup/ to confirm school assignments). 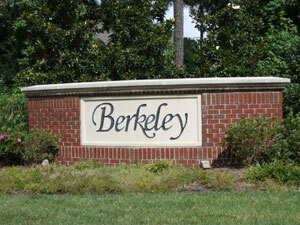 This established neighborhood features single-family homes in a variety of styles on average .25-acre lots. Some homes back to woods and all include mature trees and adult shrubs. Homes were built in the early 1990s and are priced from the mid-$200s to the upper $300s. McArthur Park is convenient to Cary and Apex shopping and restaurants, major interstates, Research Triangle Park, and RDU International Airport. This established neighborhood features 2,000+ square foot single-family homes on average .25-acre lots, priced from the $200s to the $300s. There are a variety of home styles, from ranch to two-story, built in the 1990s. Amenities include speed bumps and mature trees and shrubs. Muir Woods is convenient to major interstates and Cary shopping and Dining. Northwoods is a subdivision featuring single-family homes built between 1956 and 2004 with an average of 2,059 square feet. The homes are priced between the low $100s and the mid-$300s. Located in North Cary, Northwoods is convenient to Cary shopping and restaurants, major highways, RDU International Airport, and Research Triangle Park. The Oaks is Highcroft’s newest subdivision and features eight new home styles from Pulte Homes. Located just west of North Carolina Highway 55 in the burgeoning West Cary area, The Oaks at Highcroft is only three miles south of Research Triangle Park, 15 minutes from RDU International Airport, and within 30 minutes of the three major universities. Ready-to-build homes range from approximately 2,500 to 3,500 square feet, and are priced from $298,000. The Oaks at Highcroft offers a community pool, pavilion, and playground. In addition, Highcroft Elementary School is located right in the subdivision, and is an easy walk for the neighborhood kids. The neighborhood is bordered on one side by the 16-acre Sears Farm Road Park, a Town of Cary public park featuring play structures and scenic trails. Another great facility within walking distance is the USA National Training Complex, which has four full-sized baseball fields built to Major League Baseball standards. During the season, there are many college and high school games, as well as batting cages. In addition, the American Tobacco Trail is just a ten-minute drive from the neighborhood. Oakwood Heights subdivision features single-family homes built between 1950 and 1998 with an average of 1,500 square feet. Home prices range from the low $100s to the high $100s. Located off Old Apex Road, Oakwood Heights is convenient to Apex and Cary shopping and restaurants, major highways, RDU International Airport, and Research Triangle Park. 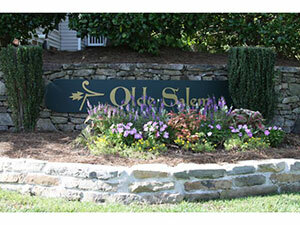 Olde Salem subdivision features single-family homes built between 1998 and 2005 with an average of 2,866 square feet. Home prices range from the low $200s to the upper $300s. Olde Salem is located near Salem Church and Old Apex Roads, and is convenient to both Apex and Cary shopping and restaurants. 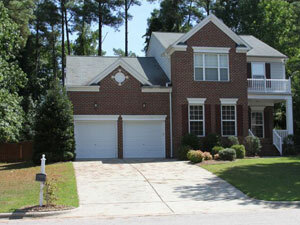 In addition, the neighborhood is convenient to major highways, RDU International Airport, and Research Triangle Park. Page Wood Forest neighborhood includes single-family homes built around 1995 with an average of 2,000 square feet. Homes are priced from the low $400s. The subdivision has a country-like feel with many homes boasting 2 or more acres of land. 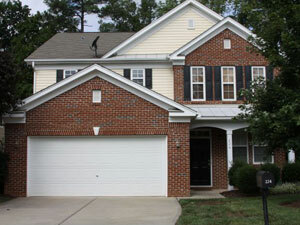 Page Wood Forest is convenient to both Apex and Cary shopping and restaurants. 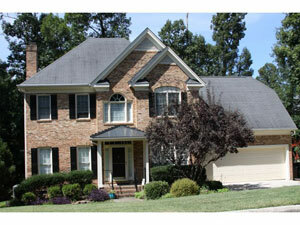 In addition, the neighborhood is convenient to major highways, RDU International Airport, and Research Triangle Park. Schools: Turner Creek Elementary, Salem Middle, and Panther Creek High School (please visit https://wwwgis2.wcpss.net/addressLookup/ to confirm school assignments). Park Village consists of 605 single-family homes spread over 200 acres in a prime Cary location, minutes from Stone Creek Village shopping center at the intersection of Davis Drive and High House Road. The homes, built in the mid- to late 1990s, range in price from the $200s to the $300s. Amenities include a community swimming pool, clubhouse, fishing ponds, scenic walking trails, and sidewalks. Schools: Davis Drive Elementary, Davis Drive and Salem Middle, and Green Hope and Apex High School (please visit https://wwwgis2.wcpss.net/addressLookup/ to confirm school assignments). Providence Commons neighborhood offers single-family homes built between 1995 and 1999 with an average of 2,667 square feet. Homes are priced from the mid-$200s to the upper $300s. Located off SW Cary Parkway, Providence Commons is convenient to Apex and Cary shopping and restaurants, major highways, Research Triangle Park, and RDU International Airport. Ridgepath neighborhood includes single-family homes built between 1985 and 1991 with an average of 2,546 square feet. The homes are priced from the mid-$200s to the lower $300s. Located off SE Cary Parkway, Ridgepath is convenient to Cary shopping and restaurants, major highways, RDU International Airport, and Research Triangle Park. Schools: Briarcliff Elementary, Reedy Creek Middle, and Cary High School (please visit https://wwwgis2.wcpss.net/addressLookup/ to confirm school assignments). 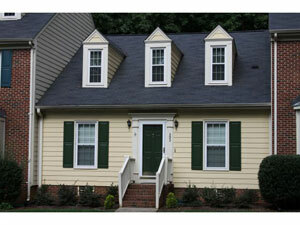 Riggsbee Farm features 285 single-family homes priced from the low $300s to the mid-$550s, built between 1996 and 2003. 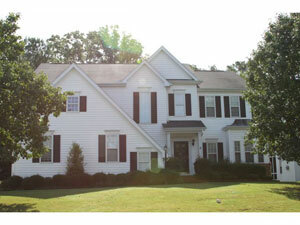 Located off Davis Drive near Stone Creek Village, the neighborhood is convenient to Apex and Cary shopping and dining. Amenities include a community swimming pool. Stanton Place features single-family homes built between 2004 and 2007, many with first-floor master bedrooms, bonus rooms, patios, porches, and sprinkler systems. Home prices range from the $500s to the upper $700s. Amenities include scenic walking trails and sidewalks. Located off Ten-Ten Road, Stanton Place is convenient to Cary shopping and dining, major interstates, Research Triangle Park, and RDU International Airport. Schools: Oak Grove Elementary and Penny Road Elementary, Dillard Drive Middle, and Athens Drive High School (please visit https://wwwgis2.wcpss.net/addressLookup/ to confirm school assignments). Stonebridge includes both single-family homes and townhomes from the mid-$200s. Located off Kildaire Farm Road, the subdivision is convenient to convenient to Wal-Mart, several grocery stores, and Cary shopping and restaurants. Amenities include scenic walking trails. Schools: Oak Grove Elementary, Dillard Middle, and Holly Springs High School (please visit https://wwwgis2.wcpss.net/addressLookup/ to confirm school assignments). Stonecrest features 59 single-family homes built on average 0.2-acre lots between 2004 and 2007. Homes are between 2,000 and 4,800 square feet and prices range from the $250s to the $450s. 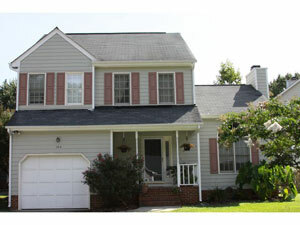 Located off Davis Drive near Stone Creek Village, the neighborhood is convenient to Apex and Cary shopping and dining. Amenities include sidewalks and a soccer park across the street. Schools: Davis Drive Elementary, Davis Drive Middle, and Green Hope High School (please visit https://wwwgis2.wcpss.net/addressLookup/ to confirm school assignments). This subdivision includes luxury single-family homes priced from the $400s to the $600s. Located off Reedy Creek Drive, Talton Place is convenient to Cary restaurants and shopping, major interstates, Research Triangle Park, and RDU International Airport. Amenities include common area maintenance. Schools: Reedy Creek Elementary, Reedy Creek Middle, and Reedy Creek High School (please visit https://wwwgis2.wcpss.net/addressLookup/ to confirm school assignments). The Reserve is a unique master-planned community of 237 homes, ideally situated just minutes from Research Triangle Park via North Carolina Highway 55. The luxury homes, which follow the designs of Sunstar’s award-winning Artisan series, feature exceptional architectural details both inside and out. Lot sizes in the wooded neighborhood average an impressive 0.419 acre, and amenities include a pool, clubhouse, and greenway. Home prices range from $349,000 to $679,000. Schools: Highcroft Elementary, Salem Middle, and Panther Creek High School (please visit https://wwwgis2.wcpss.net/addressLookup/ to confirm school assignments). Saratoga Park community offers single-family townhomes with an average of 1,981 square feet built between 1990 and 1999. The homes are priced from the low $100s to the upper $300s. Saratoga Park is located off High House Road and is convenient to Apex and Cary shopping and restaurants, major highways, RDU International Airport, and Research Triangle Park. The Sedgemoor neighborhood in Cary, North Carolina, provides all of the quiet and unassuming charm that one might expect from a Southern community, but is close enough to Cary’s center and nearby Apex to give residents access to amenities, and peace of mind. Located right off of Holly Springs Road, Sedgemoor is conveniently located near a number of public schools in the Wake County Public School System, Cary and Apex malls and shopping centers, and many parks, lakes, and trails in the Town of Cary parks system. The biggest draw to this neighborhood, though, is the amount of land that comes with the homes. Most of these single-family houses, priced between $299,000 and $450,000 are situated on one acre or more of land, most of which is wooded as well. The homes themselves have their own unique amenities, such sprinkler systems, sun porches, and fireplaces, which are not necessarily always included in modern builds. These houses range in size from 2,390 to 3,550 square feet, and are one-to-two stories, with up to four bedrooms, three bathrooms, and two-car garages. It truly is the perfect location and size for a growing family. And, as previously mentioned, the neighborhood is not so far away from WCPSS schools like Holly Springs Elementary School, and Fuquay-Varina Middle and High Schools, so Sedgemoor could really be a forever home for you and yours. Sherborne community includes single-family homes from the low $200s to the mid-$400s built between 1996 and 1998. Homes have an average of 2,542 square feet. Located near the intersection of Davis Drive and Waldo Rood Road, Sherborne is convenient to Cary and Apex shopping and restaurants, major highways, RDU International Airport, and Research Triangle Park. Sherwood Greens subdivision features single-family homes built between 2000 and 2002 with an average of 2,481 square feet. Home prices range from the mid-$200s to the mid-$300s. Sherwood Greens is conveniently located off Davis Drive near Stone Creek Village, and is convenient to Apex and Cary shopping and restaurants, major highways, RDU International Airport, and Research Triangle Park. Schools: Salem Elementary, Salem Middle, and Green Hope High School (please visit https://wwwgis2.wcpss.net/addressLookup/ to confirm school assignments). Silverlake neighborhood offers single-family homes built between 2000 and 2004 with an average of 2,926 square feet. The homes are priced from the low $300s to the upper $400s. Located in north Cary off NW Cary Parkway, Silverlake is convenient to Cary shopping and restaurants, as well as major highways, RDU International Airport, and Research Triangle Park. Silverton community includes homes built between 1986 and 2004 with an average of 2,136 square feet. The homes are priced from the mid-$100s to the mid-$400s. Located off NW Cary Parkway in North Cary, Silverton is convenient to Cary shopping and restaurants, I-40, RDU International Airport, and Research Triangle Park. Southchase neighborhood features single-family homes built between 1996 and 2000 with an average of 3,458 square feet. The homes are priced from the low $300s to the mid-$400s. Located off Ten-Ten Road, Southchase is convenient to Apex and Cary shopping and restaurants, major highways, RDU International Airport, and Research Triangle Park. Springbrooke subdivision includes single-family homes built between 1986 and 1993 with an average of 2,103 square feet. The homes are priced from the mid-$100s to the upper $200s. Located in north Cary off Evans Road, Springbrooke is convenient to Cary shopping and restaurants, as well as I-40, RDU International Airport, and Research Triangle Park. Summerwinds neighborhood includes single-family homes built between 1980 and 1989 with an average of 3,181 square feet. Homes are priced from the lower $200s to the lower $500s. Summerwinds is located off SE Cary Parkway and Tryon Roads, and is convenient to Cary shopping and restaurants, as well as major highways, RDU International Airport, and Research Triangle Park. Schools: Dillard Drive Elementary, Dillard Drive Middle, and Athens Drive High School Schools: Davis Drive Elementary, Davis Drive Middle, and Green Hope High School (please visit https://wwwgis2.wcpss.net/addressLookup/ to confirm school assignments). Trappers Run is an established neighborhood with single-family homes located on average .25 to .50-acre lots with mature foliage. Located off Maynard Road, the neighborhood is convenient to Cary shopping and restaurants, including Preston and Cornerstone shopping centers. Home prices range from the $150s to the $230s. Schools: Cary Elementary, West Cary Middle, and Cary High School (please visit https://wwwgis2.wcpss.net/addressLookup/ to confirm school assignments). 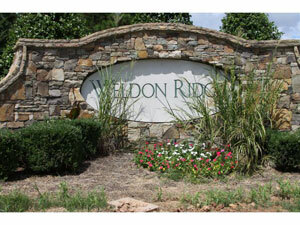 Troon at Kildaire subdivision offers condominiums built between 2001 and 2005 with an average of 1,817 square feet. Condominiums are priced from the low $200s to the upper $300s. Located near the intersection of Kildaire Farm Road and SE Cary Parkway, Troon at Kildaire is convenient to Apex and Cary shopping and Restaurants, major highways, RDU International Airport, and Research Triangle Park. Schools: Farmington Woods Elementary, Reedy Creek Middle, and Cary High School (please visit https://wwwgis2.wcpss.net/addressLookup/ to confirm school assignments). Tryon Villas neighborhood features 34 luxury townhomes located off Tryon Road priced from the $600s. Tryon Villas is adjacent to a future 6-acre Town of Cary Park with tennis courts, a 36-acre lake, and 14 miles of walking trails that connect to Lochmere’s trails. Amenities include tree-lined sidewalks, formal gardens, and benches. Additionally, the neighborhood is within walking distance of Crossroads Plaza and Tryon Village Shopping Center. Schools: Swift Creek Elementary, Dillard Drive Middle, and Athens High School (please visit https://wwwgis2.wcpss.net/addressLookup/ to confirm school assignments). Upchurch Farms subdivision includes single-family townhomes built between 2001 and 2008 with an average of 2,274 square feet. Homes are priced from the mid-$100s to the mid-$400s. Located off Waldo Rood Road, Upchurch Farms is convenient to Apex and Cary shopping and restaurants, major highways, RDU International Airport, and Research Triangle Park. Walnut Ridge community features single-family townhomes built between 1975 and 1998 with an average of 1,977 square feet. Homes are priced from $79,900 to the upper $200s. Walnut Ridge is located off Walnut Street, in close proximity to Cary Towne Center mall, restaurants, major highways, RDU International Airport, and Research Triangle Park. Schools: Dillard Drive Elementary, Dillard Drive Middle, and Cary High School (please visit https://wwwgis2.wcpss.net/addressLookup/ to confirm school assignments). Waterford at Cary Park features 120 luxury lakefront homes with brick exteriors and low-maintenance, energy-efficient vinyl windows, priced from the $170s up to the $900s. Located off Carpenter Fire Station Road, the neighborhood is convenient to Cary shopping and restaurants, and is within walking distance of Cary Park Town Center (grocery store, restaurants, shopping, drugstore, and banking). Amenities include a community swimming pool, clubhouse, and playground. Schools: Highcroft Elementary, Salem Middle, and Green Hope High School (please visit https://wwwgis2.wcpss.net/addressLookup/ to confirm school assignments). Weathersby subdivision features single-family townhomes with approximately 2,000-3,000 square feet ranging in price from the mid to upper $200s. Weathersby is located off SW Cary Parkway and is convenient to Apex and Cary shopping and restaurants, major highways, Research Triangle Park, and RDU International Airport. Amenities include a scenic greenway walking trail and community swimming pool. Weatherstone is an established neighborhood with single-family homes on average .25 to 0.5-acre lots, some backing to wooded areas. The homes were built from the late 1990s to 2000 and are priced from the $400s. Located off High House Road, the neighborhood is convenient to Cary shopping and restaurants, major interstates, Research Triangle Park, and RDU International Airport. Amenities include a community swimming pool, tennis courts, sidewalks, a pond, scenic walking trails, common-area park benches, and a water fountain. Schools: Weatherstone Elementary, West Cary Middle, and Green Hope High School (please visit https://wwwgis2.wcpss.net/addressLookup/ to confirm school assignments). This subdivision includes single-family homes with average 0.5-acre lots priced from the upper $300s to the $700s. Many include brick exterior, upgraded cabinets and countertops, and three-car garages. Located off Yates Store Road, Weldon Ridge is convenient to Cary shopping and restaurants, major interstates, Research Triangle Park, and RDU International Airport. Amenities include a community swimming pool, clubhouse, and scenic walking trails. Schools: Mills Park Elementary, Salem Middle, and Panther Creek High School (please visit https://wwwgis2.wcpss.net/addressLookup/ to confirm school assignments). Wellsley neighborhood offers single-family homes built between 1993 and 1998 with an average of 2,657 square feet. The homes are priced between the mid-$200s and the upper $400s. Wellsley is located off High House Road and is convenient to Apex and Cary shopping and restaurants, major highways, RDU International Airport, and Research Triangle Park. 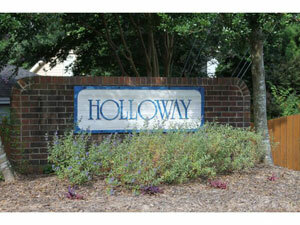 This subdivision features 18 luxury all-brick Georgetown-inspired townhomes in the heart of Cary. The homes are priced from the mid to upper $200s and are convenient to Cary shopping and dining, major interstates, Research Triangle Park, and RDU International Airport. Weston Pointe subdivision includes homes built between 1994 and 2002 with an average of 2,681 square feet. Homes are priced between the mid-$200s and the upper $400s. Located off NW Cary Parkway, Weston Pointe is convenient to Cary shopping and restaurants, I-40, RDU International Airport, and Research Triangle Park. Westpark neighborhood offers single-family custom homes built in the late 1980s with an average of 2,000 to 3,000 square feet. Homes are priced from the mid-$200s to the mid-$300s. 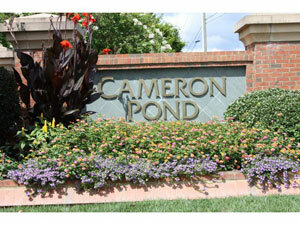 Amenities include wooded lots, scenic walking trails, a community swimming pool and tennis courts, and ponds. Westpark is convenient to Apex and Cary shopping and restaurants, major highways, RDU International Airport, and Research Triangle Park. Westvale is a custom home community located just off North Carolina Highway 55, convenient to Research Triangle Park, RDU International Airport, and I-40. The community features 53 single-family homes and is designed by the award-winning custom builder team Amward Homes, Inc. and Wardson Construction Company. Homes are priced from the upper $400,000s. Westvale is convenient to several Town of Cary parks, including Cary Tennis Park, Sears Farm Road Park, and Thomas Brooks Park. The West Regional Library and shopping at Stone Creek Village are just minutes away. Weycroft neighborhood features 119 single-family custom homes built from 2007 to 2011, ranging in price from $500 to over one million. Many of the homes feature first floor master suites and bonus rooms. Conveniently located just of NC 55 and the new I-540 extension, Weycroft is convenient to Research Triangle Park, Durham, Chapel Hill, and the Streets of Southpoint shopping center. Amenities are provided by Cameron Pond just down the street from Weycroft, and include extensive natural areas, greenways, a junior Olympic swimming pool, tot lot, and playfield. A new 21-acre Town of Cary Park is adjacent to the community. Schools: Cedar Fork Elementary, West Cary Middle, and Panther Creek and Green Hope High School (please visit https://wwwgis2.wcpss.net/addressLookup/ to confirm school assignments). 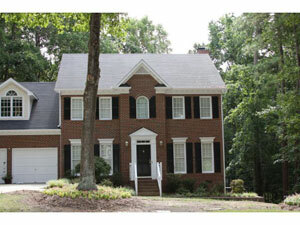 White Oak Estates is an older small subdivision located off Green Level West Road, just outside Cary town limits. The single-family homes were built in the 1970s. Lot sizes are unusually large, being 2 acres up to more than 4 acres with scenic woods and open space. White Oak Estates is convenient to Apex and Cary shopping and restaurants, major highways, RDU International Airport, and Research Triangle Park. Schools: Highcroft Elementary, Highcroft Middle, and Panther Creek High School (please visit https://wwwgis2.wcpss.net/addressLookup/ to confirm school assignments). Whitebridge subdivision offers single-family homes built between 1995 and 2000 with an average of 3,211 square feet. Homes are priced from the upper $200s to the mid-$400s. Located near the intersection of Davis Drive and Waldo Rood Road, Whitebridge is convenient to Apex and Cary shopping and restaurants, major highways, Research Triangle Park, and RDU International Airport. Schools: Davis Drive Elementary, Davis Drive Middle, and Green Hope High School Schools: Northwoods Elementary, West Cary Middle, and Panther Creek High School (please visit https://wwwgis2.wcpss.net/addressLookup/ to confirm school assignments). Williamsburg Commons neighborhood includes homes built between 1985 and 1988 with an average of 2,619 square feet. Homes are priced from the low $200s to the mid-$300s. Located off Kildaire Farm Road, Williamsburg Commons is located directly across from Hemlock Bluffs Nature Preserve, and is convenient to Cary shopping and restaurants, major highways, RDU International Airport, and Research Triangle Park. Schools: Dillard Drive Elementary, Dillard Drive Middle, and Athens Drive High School (please visit https://wwwgis2.wcpss.net/addressLookup/ to confirm school assignments). Wimbledon community offers single-family homes built between 1986 and 2004 with an average of 2,570 square feet. Homes are priced from the mid-$100s to the mid-$400s. Located between Kildaire Farm Road and SE Cary Parkway, Wimbledon is convenient to Cary shopping and restaurants, major highways, RDU International Airport, and Research Triangle Park. Windermere features single-family homes from 3,000 to 6,000 square feet on average 0.3-acre lots, ranging in price from the $400s to the $700s. Located off Kildaire Farm Road, the neighborhood is convenient to Cary shopping and restaurants, as well as the major interstates, Research Triangle Park, and RDU International Airport. Amenities include a pool and baby pool, playground, basketball courts, and a pond. Schools: Middle Creek and Oak Grove Elementary, Dillard Drive or Lufkin Road Middle, and Holly Springs or Middle Creek High School (please visit https://wwwgis2.wcpss.net/addressLookup/ to confirm school assignments).